photo-eye Gallery is pleased to host Jennifer Schwartz, owner of Jennifer Schwartz Gallery in Atlanta and the online photography project, The Ten. Last year she launched the ongoing, mission-based project The Crusade for Collecting, born out of her passion for supporting art and artists. The Crusade’s mission is to cultivate a new crop of art lovers, patrons and collectors by encouraging people to engage with art in exciting and innovative ways. Jennifer will speak about the genesis of her Crusade and the ways individual artists can use the same thought principles to build audiences for their work. From developing unique programming at her gallery to working with photographers to build their own collector base to driving a 1977 VW bus around the country to bring art to the people, Schwartz’s Crusade is one you want to know about. 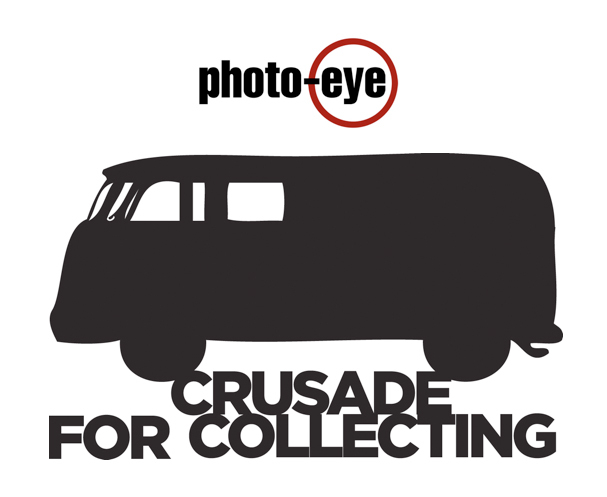 The photo-eye Gallery is located at 376 Garcia Street, Suite A, Santa Fe, NM and is open Monday through Saturday, 10am to 6pm.